Firstly, there is no such thing as the Scottish Labour Party. ‘Scottish Labour’ is a ‘description’ registered by the Labour Party, which has its headquarters in London, England. 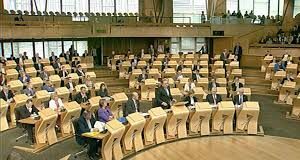 Members of the Labour Party in Scotland can legitimately refer to their organisation as ‘Scottish Labour’, but the Electoral Registration Commission confirms there is no such body as the Scottish Labour Party. Secondly, Britain is not, never has been, and never will be a nation. It is a geographical area that forms the largest part of a union-of-nations known as the United Kingdom of Great Britain and Northern Ireland. With those facts in mind, let’s look at the comments by the two men vying to be the next leader of the ‘Scottish Labour Party’ as part of a British ‘national’ organisation. 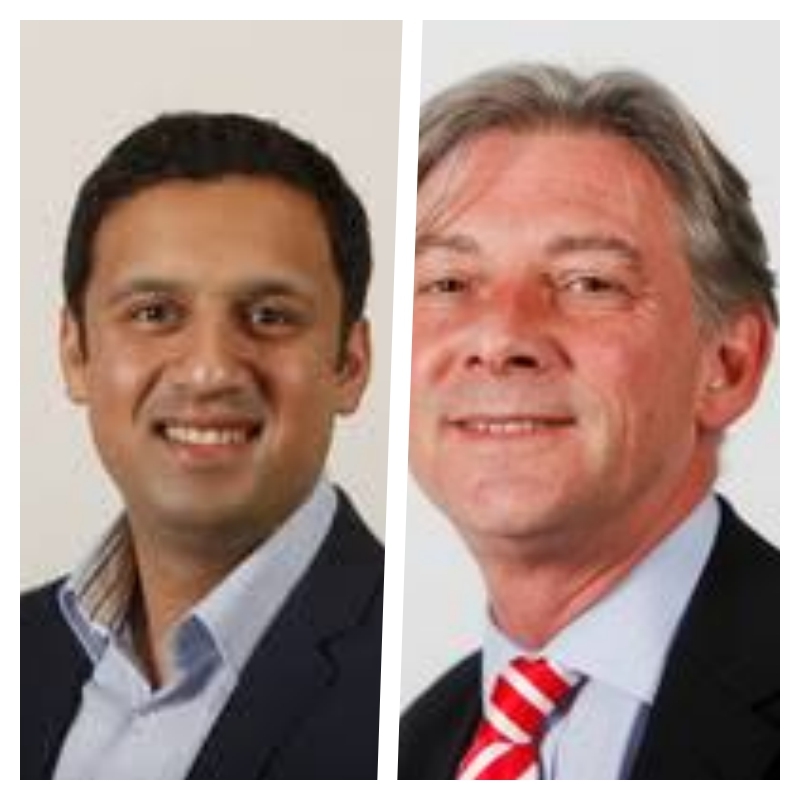 They both oppose ‘nationalism’ and state that, under their leadership, if elected, there will be no second referendum on Scottish independence. The candidates’ positioning and choice of words is for them to decide. 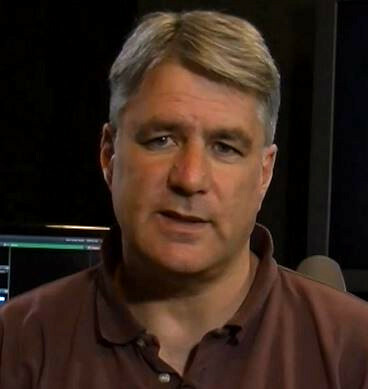 However, their statement on ‘nationalism’ is clearly, and deliberately, used as a way of attempting to smear the pro-independence movement in Scotland by seeking to draw a link to other known nationalist movements, such as the far-right, black-shirted, goose-stepping Neanderthals who can be regularly seen on our television screens in undemocratic Eastern-European countries and now, under President Trump, in the USA. Few reasonable and rational people would disagree with opposition to the far-right concept of ‘nationalism’, which, history shows us, stems from a national chauvinism, an exaggerated patriotism that believes a particular nation is better than any other. This is the type of nationalism associated with British nationalist movements, which, actually, is more accurately related to a belief in English chauvinism, an imperialist legacy that asserts England is better than other nations, including its neighbour, Scotland. However, the whole point of the comments from the Labour leadership-contenders is to link this toxic ‘nationalism’ with the peaceful and democratic movement for Scottish independence. Scottish ‘nationalism’ – the ‘nationalism’ to which the Labour leadership-contenders refer – could not be further removed from the far-right British nationalism we see represented today by organisations such as the British National Party, the English Defence League or the UK Independence Party (UKIP). Waving byebye, in the nick of time. The Scottish ‘nationalism’ espoused by the Scottish National Party is a moderate, centre-left political ideology, advocating an inclusive, civic identity that argues for the people of Scotland to be recognised as the sovereign power in the country. The SNP’s Scottish ‘nationalism’ seeks to represent the spirit and aspirations of the whole nation of Scotland, coming together to elect a Scottish Parliament that will govern in the best interests of all the people of Scotland, with the full powers that only come with independence, to deliver a progressive, radical society in an outward-looking, modern nation. To argue against Scottish independence or to link the movement to toxic ‘nationalism’ – as British Unionist political parties do – is to say Scots should not be the sovereign power in their own country, and that almost half the population holds abhorrent far-right political views. 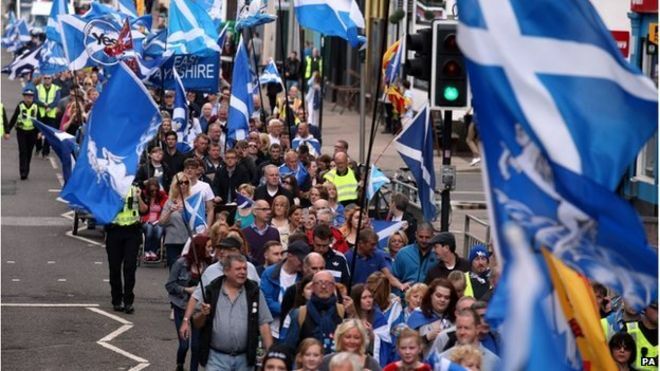 Opposing Scottish independence is to argue for more of what we currently have – Tory governments in London imposing their right-wing policies on us, even after we have democratically rejected them at the ballot box. Those of us who support an independent Scotland believe we are no better or worse than the people of other nations. We simply argue that the people of Scotland are best-placed to take decisions on the type of nation in which we want to live. 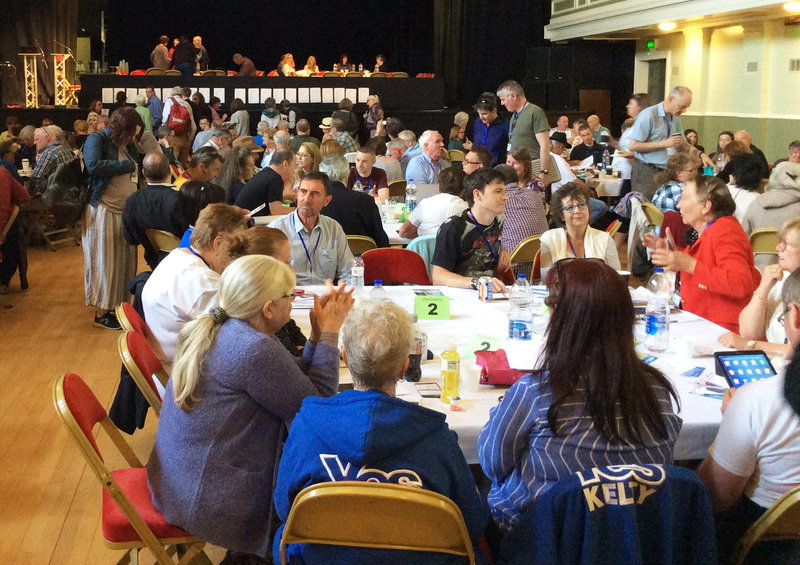 Supporters of independence believe it is in our best-interests to organise our society on the basis of the nation of Scotland. The two contenders to lead the Labour Party in Scotland reject this argument; this is the position from which their opposition to Scottish ‘nationalism’ stems. As a British political organisation, the Labour Party believes it is best to structure society on the basis of a perceived nation of Britain, which, if we accept their ‘logic’ in relation to Scottish ‘nationalism’, makes them British ‘nationalists’. Now, clearly, members of the Labour Party in Scotland are not bedfellows of the British National Party, the English Defence League or UKIP, but their party’s definition and attribution of the term ‘nationalism’ would appear to place them in such company. 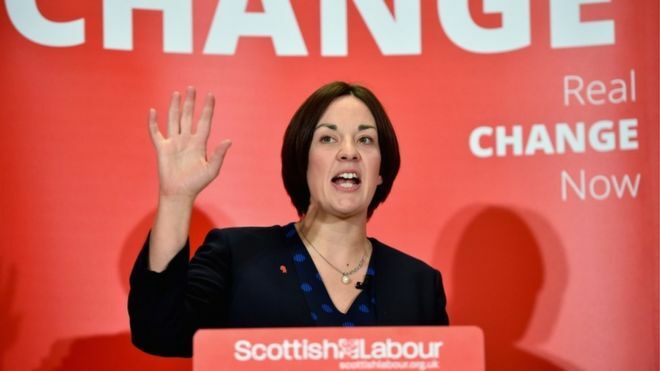 The other statement from the prospective leaders of the Labour Party in Scotland – that there will be no second referendum on Scottish independence – is a worrying development. In a week that has seen the Spanish Government send armed police to crush a democratic movement towards holding a referendum on independence in Catalonia, a statement from representatives of the British Labour Party, claiming they will prevent a similar plebiscite in Scotland, smacks of authoritarianism, even toxic ‘nationalism’. Certainly, if the Scottish people, at some point in the future, elect a British ‘nationalist’ party to govern Scotland, a party like Labour – that is, one seeking to structure society on the basis of a perceived nation of Britain – then it will be perfectly acceptable for that organisation to adhere to its British ‘nation’ belief and to not hold a referendum on Scottish independence. However, while Scotland has a Scottish ‘nationalist’ government – one that seeks to structure society on the basis of the nation of Scotland – with a manifesto commitment to hold an independence referendum, then any attempt to block this would, again, smack of imperialist, authoritarian ‘nationalism’. The Labour Party in Scotland, and its prospective leaders, really should be careful about using the word ‘nationalism’ in attempts to smear the broad-based, pro-independence movement. If supporters of an independent Scotland are to be pointed-at and branded as equivalent to toxic ‘nationalists’ simply because we see the benefits of building our society on the basis of the nation of Scotland, then surely those who adhere to a society based on a perceived nation of Britain are, by definition, British ‘nationalists’? Previous articleThe Cudd Perspective II: An orderly return to business as usual? Next articlePodcast: How do we learn to sing a new song for Europe? In politics, you have to believe in something… don’t you ?